Used to hold fabric on to a piece of cord, the clothes peg is simple in design. Over the years it has been subject to many redesigns and changes in manufacturing techniques but the principle remains the same. Washed, wet clothes are held in place on a piece of cord strung between two objects and the clothes allowed to dry in the free air. The clothes peg holds the garments firmly but should not damage them. Some of the early clothes pegs were made from a split piece of wood with a piece of wire or metal wrapped around the top of the split. This wire would stop the stick splitting completely. Shaped wooden pegs made from a single piece of wood were invented by the Shakers. This group of celebate Quakers had left persecution in England in 1774 and settled in Albany, New York. The Shakers led a simple life, however they are credited with inventing many devices and tools still used today including the washing machine, packaged seeds and the clothes peg. In the UK, the wooden peg was often made from willow as the wood was naturally springy and could be found in many woodlands. Many children, especially during the early 1900’s would have a number of wooden pegs in their toy box. Girls would often draw faces on the pegs and makes clothes from scrap material turning the simple peg into a doll. This is possibly one source of the name dolly peg. Over the years and with the advent of plastics the humble wooden peg has undergone many evolutions, often for just cosmetic reasons. The earliest American patent for a clothespin, issued in March 1832, described a bent strip of hickory held together with a wooden screw. 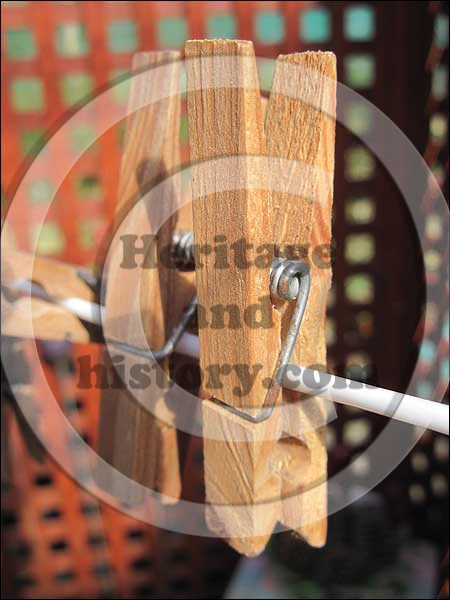 In 1853, David M Smith of Springfield, Vermont invented the wooden clothespeg we know today, made up of two wooden legs hinged together with a metal spring. For the 35 years between 1852 and 1887 the US Patent office granted patents to around 150 different clothes pegs. Known as the C47, bullet or peg, the wooden sprung clothes peg is a valuable tool on set. It is thought hat the code C47 came about because ‘clothes peg’ was just not a suitable technical term for the ‘accountants’ in the industry. C47’s can often be seen used in many different ways on a filmset and are most commonly used by gaffers, grips and electricians. Being non conductive to heat and electricity the simple wooden clip can be used to hold coloured gels on to hot lights or as a handle to move a hot barn door . Other uses include holding script to a clipboard, clamped around a straw to stop it falling into a drinks bottle or with the addition of some coloured paints a coding system for cables or pulley ropes. The wooden peg can also be taken apart and reversed creating a tweezer like device ideal for removing a hot gobo or gel from a narrow slot in front of a hot lamp. Every country and culture seems to have a different name for the clothes peg. Here are a few that we have found. Maybe you know of others? 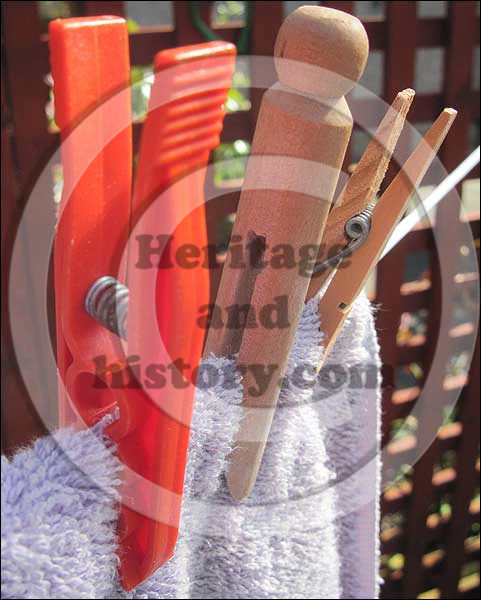 Wooden pegs are more durable than the modern plastic alternatives as they do not break down in the sunlight. However, care should be taken not to leave them out in the rain as they can discolour and leave stains on clothes. The Better Clothespin – Why do inventors keep trying to improve a technology that is not only supremely simple but-for most of us-obsolete?